and to me a child poet. slip on her pink robe. Trascendent, beautiful… sublime poem. It feels like a sort of cosmogony with mimetic traits. The birds singing, the poet’s new beginning… voices raising. As I read along I thought of Heraclitus’ Panta Rei…. everything is implicitly connected. I love your fifth stanza, but the entire poem was such a treat bringing me back memories of childhood rambles. Thankfully I still hear birdsong when I’m hiking in the woods, but it is getting harder to hear anywhere else. Thank you so much Bespoke Traveler for your wonderful reply. I’m fortunate to be able to open my windows at home and hear beautiful birdsong pretty much all year round, less so in the summer months … yet in the spring it rises to a crescendo! Ancient woodlands were firstly my childhood playground, and now they return as mid-life playgrounds too. With warm autumnal wishes, Deborah. Thank you for the beautiful reminder of one of nature’s dearest joys. My return to Florida after a summer in the mountains–where birdsong punctuated my musings from moment to moment—has been a return to my indoorsy nature and forgotten melodies. It’s still too hot here to open the windows, so I write in complete silence….except for the white noise of the air-conditioner. Still, I write on, but your heartfelt poem has aroused my longing for nature’s music. We’ll return in a few weeks to see the fall leaves and I’ll think of you as I savor every sweet tweet! Thank you so much Jeanie for momentarily leaving your (writer’s) cave and gifting me such a beautiful, rich review on my poem. I agree, birdsong is indeed one of nature’s greatest joys! I love the poetic way you describe how each song punctuated your musings this summer in the mountains. Last week I returned from 10 glorious days in the mountains myself in the northern lands of our beautiful island. Heaven on earth! What a great Muir quote, I love it! Enjoy your autumn trip and I hope your new spiritual book continues to take its divine shape. Love and light, Deborah. Ahh, the innocent wonder we have in childhood – I know that even though I was brought up on the edge of a city, I found my peace and wonder back then in the limited nearby wild spaces where I played and marvelled at the wildlife and birds around me. As I grew that connection was lost for years as I made (and lost) my way in the world until, as I entered my mid-life, I rediscovered the pure joy and wonder of nature, revelling in the simple pleasure of opening my windows to the dawn chorus or being transfixed watching birds of prey on downland walks and subsequently the rediscovery of my own creative nature. Deborah, your beautifully crafted words remind me so much of this journey and yes, with birdsong all around my soul cannot help but be lifted to a new level. Now as the autumn chill comes each morning I see the birds busily eating the berries and seeds left on the edgelands by my house, singing their autumn tune as they ready themselves for the coming winter, a time of going within. Thank you Deborah and may the wonder of listening to the birdsong always be with us. Thank you so much Sophia for your beautiful, encouraging words on my new poem. 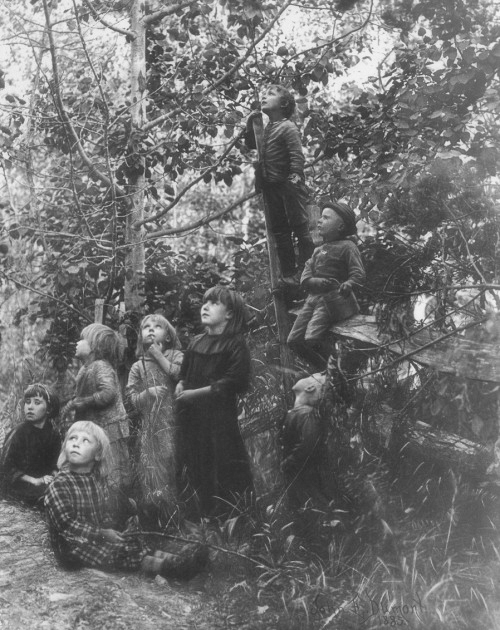 I love the vintage photo above … the children’s sense of curiosity, innocence and wonder is palpable! You’ve reminded me re growing up in the city of one of Aesop’s fables … The Town Mouse and the Country Mouse … and how each other’s abode and way of living wasn’t for the other and yet what you’ve shared will resonate with many city dwellers. Such an inspiring tale of individuation and integration. As a country mouse my childhood was vastly different to city life … as crop fields, fruit orchards, hop gardens, ancient wildwoods and farmsteads were my hallowed playgrounds. I didn’t know it then but I know it now … how was very fortunate it was for me to grow up so close to Mother Nature’s loving, earthy embrace. Like you, and many others I lost that connection until my midlife correction. I have yet to read it, and it was written many years ago but a book that keeps coming up in recent conversations is “Silent Spring” by Rachel Carson. I’ve heard great things about this seminal book. Love and light, Deborah. The echoes in your poem are beautiful.. A red, remembered sunset, birds singing, children listening. Then a robin, starling, blackbird, nightingale and wren all turn up and sing. Here’s a poem bursting with beauty! Well done Deborah. 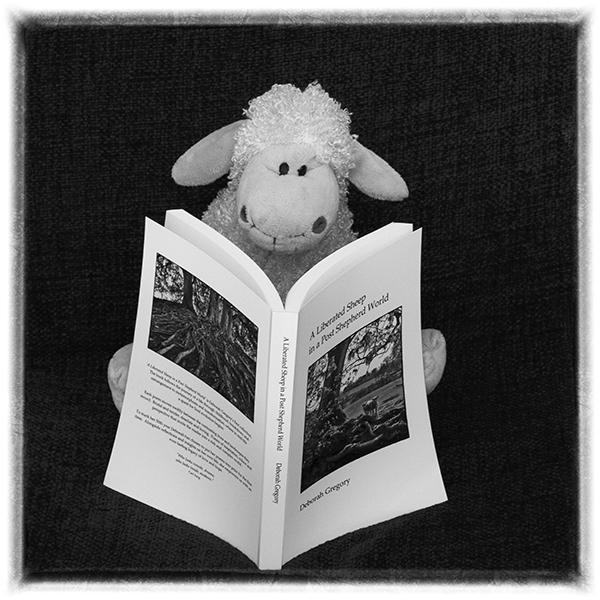 Thank you so much mariquitta for your warm, kind-hearted response to my nature poetry! As a child those magical, pink sunsets and birds singing were truly awesome and so inspiring. Originally, I wanted to write a verse on each of my favourite birds … but after writing a list of over thirty birds I decided to narrow it down, considerably! With warm autumnal wishes, Deborah. The 132 year old photograph taken by John Dumont back in 1885 had a huge impact on me when I discovered it online a couple of weeks ago … it has sparked this poem for sure! Love and light, Deborah. Deborah, your final reference to poets as flying shamans is spot on. This is breath-taking work!! Very beautiful. Your autumn song travels to me on the wind. All the best, Anna. Oh thank you so much Anna for your lovely reply! “Flying shamans” indeed, for that’s what many a poet becomes I feel … when immersed in the work. I hope this beautiful autumnal day finds you well. Blessings always, Deborah. Thank you so much Henry for your wonderful gift of words! It’s too cold here to open the windows fully but I’ve left one slightly ajar as my room fills up with beautiful birdspirit. I only discovered the old photo a couple of weeks ago online when looking for something else … it stopped me in my tracks (I even made it my one and only twitter moment!) and inspired me to write this poem in praise and honour of birdsong, nature, John Dumont’s incredible photograph and own childhood memories of “listening to the birds.” Blessings always, Deborah. Oh, oh, oh. So beautiful, Deborah. I’m still listening. The wintering birds are growing quiet here except for the fierce caw of a crow or an occasional hawk. Songbirds flew south by now, but I still hear the night sounds of crickets and tree frogs. When I begin feeding the wintering birds, I’ll hear chickadees again. These simple sounds that lift my soul and give me hope. Somehow, in their simplicity, they by-pass my damaged ears to give me a joy I don’t experience with human sound and voices. I love how you remind me that Nature’s songs lift me up and give me wings. Yes. My last Monarch flew south this morning and I’m going for a walk now. I’ll listen for every transcendent bird. Thank you so much Elaine for your beautiful comment! It’s so wonderful to read of your deep love for Mother Nature … all of her, including her petite crickets, often overlooked when the woods and hedgerows are filled with songbirds. What a treat it’s been to follow your exquisite Monarch stories this summer and autumn and to see your beautiful images too! Wendell Berry’s, “Peace of Wild Things” poem has been inspiring me for months now. Love and light, Deborah.